People have asked me times and again why this interest in anything beyond the clouds. This week I’ve been reminded of one of the reasons. Hate. Reflected On Sept.11 (!) 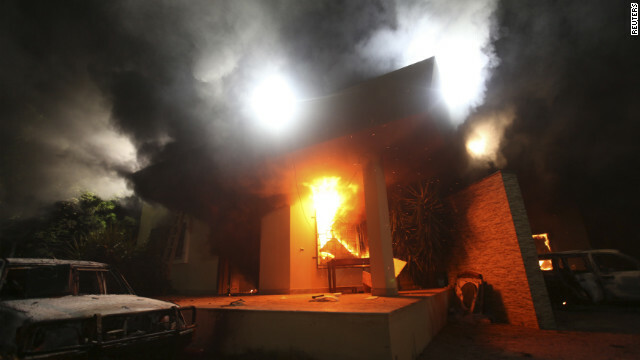 in the brutal murder of the American ambassador to Libya, and 3 of his colleagues, over an idiotic YouTube video. The Obama administration says this was part of a pre-planned terrorist operation that just took advantage of the protests against the anti-Islam film. For my point here, it doesn’t really matter. Where there are humans, there is drama. The more humans, the more drama. Drama is good, the spice of life. But then there are places where there is just hate. It might be fueled by social injustice, poverty, hunger, and ignorance. John Lennon dared to blame religion and nationalism 41 years ago (well, and capitalism…). And of course then that type of hate was targeted at him. Hate does tend to flourish where there is religion. But not all religious people hate. At the heart of every one of the 3 major religions is love for man kind – the children of god, not hate. The problem is religious fundamentalism that knows no boundaries. And so hate lurks. It might be expressed in racism, sexism, discrimination, and oppression; exploiting kids, neglecting elders, and punishing women for anything under the sun. And it’s there, all the time. There are places where the dark ages are not over. And the rest of us are staring at what the haters are doing with disbelief, and a sense of horror and lost hope. Our human instinct is to retaliate, punish, and destroy. Then we are reminded by some brave souls, that yes, there is still a lot of room for improvement, and yes, we can’t stop working at it. Through economic changes – to fix whatever causes so much envy, anger, and grief. This has been taking decades, in-fact it’s been taking centuries. Baby steps, patience, determination, and never giving up are key; Good-will and innovation are tools; But no doubt, it will take centuries more. Sometimes you just want a break, and there are almost no more sane places to escape to anymore. So you look up, and you realize that there is a vastness around us, that would take extreme measures to conquer. What better way to unite Americans and Russians, than to build together a Space Station? This was done not even a decade after the fall of the Berlin Wall and Russian communism in 1989. Something beyond us can make us realize how much we need each other. Fighting for survival in extreme environments may unite people with their past sworn enemies. Not fighting for it in a place where they were born into the poverty and misery, but a place they choose to go to. Maybe Osama Bin Laden would have been busy doing something other than plan the deaths of thousands of people, if he were trained as an astronaut, and walked on the Moon with Neil. Education-> Collaboration-> Innovation-> Achievement-> Peace-> Freedom. This entry was posted in Human Experience, Lets Go to the Moon, Space Exploration and tagged Libya Ambassador, Moon, Neil Armstrong. Bookmark the permalink.